The route starts with a gentle rise but continues climbing with a 200m increase in elevation in the first 3 km. 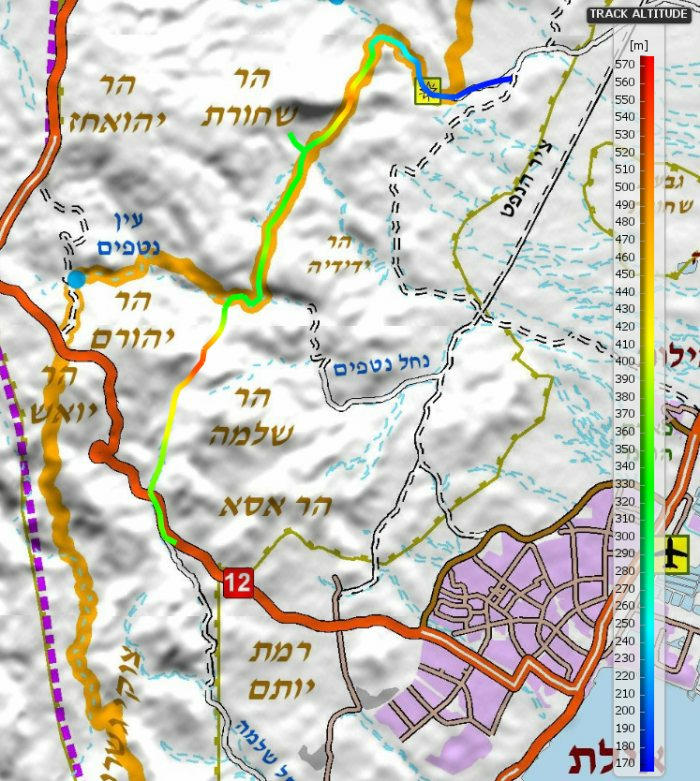 This takes you to the highest point of the day in the saddle between Har Yehoram and Har Shlomo. It's really a geological wonder. The Har Shlomo side is composed of dark magma which was formed some 10km beneath the surface of the earth roughly 500 million years ago and then thrust upward through the surface. The mountain on the other side - Har Yehoram is composed of layers of sandstone and other lighter colored rocks. These were formed of the bottom of a sea that is no longer there. The next 6km of trails takes you up and down along the ridge that separates these distinct types of mountains. 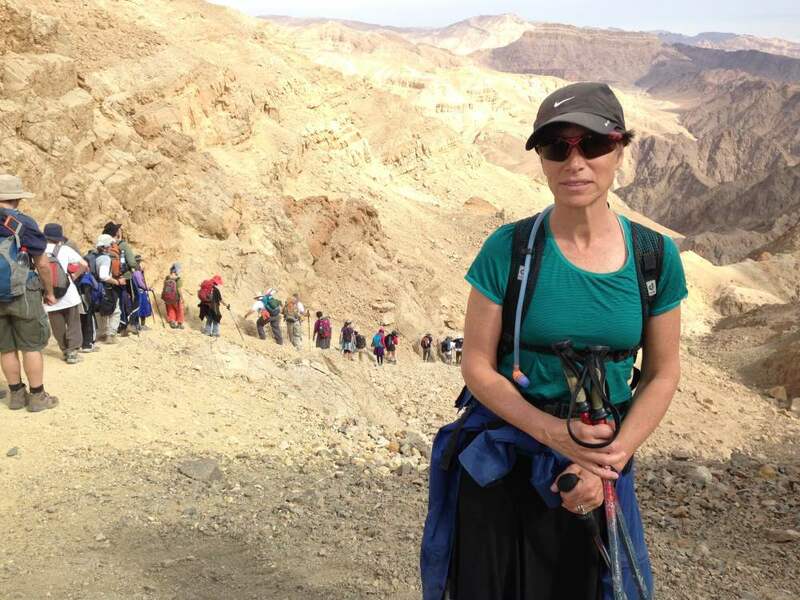 There is one more climb near the end of the day with Har Shachoret to your left. There have been settlements discovered in the southern Negev that date back at least 4,000 years. This area was likely part of the Kingdom of Edom, which according to the Bible was founded by Eisav, the estranged brother of the patriarch Yaakov. There is evidence of copper smelting in the area dating back 3,500 years to the time of the Pharaohs which continued into the reign of King Solomon. This land eventually became part of the territory of the Jewish Tribe of Shimon. After the Babylonian conquest of Jerusalem in 586 B.C.E. the Jewish people were taken into captivity and the power vacuum created in the lands of Judah in the northern part of the Negev. This massive depopulation of Jews was filled by Edomites who moved north taking over the rich pasture lands left behind. It’s around this time that the Nabuteans gained prominence in what had been the Edomite Lands. The Nabateans came to create an impressive empire that ruled over the lucrative spice routes from southern Arabia to the seaports of the Mediterranean. In the year 106 B.C.E. the Romans conquered the area, taking control of the trade routes and the Nabateans faded back into the sands of the desert. As the Roman empire melted from the peripheries the primary inhabitants of the area since then have been Arabian nomads. Byzantine influence has also been found from the 4th century C.E. with agricultural based settlements in the area. 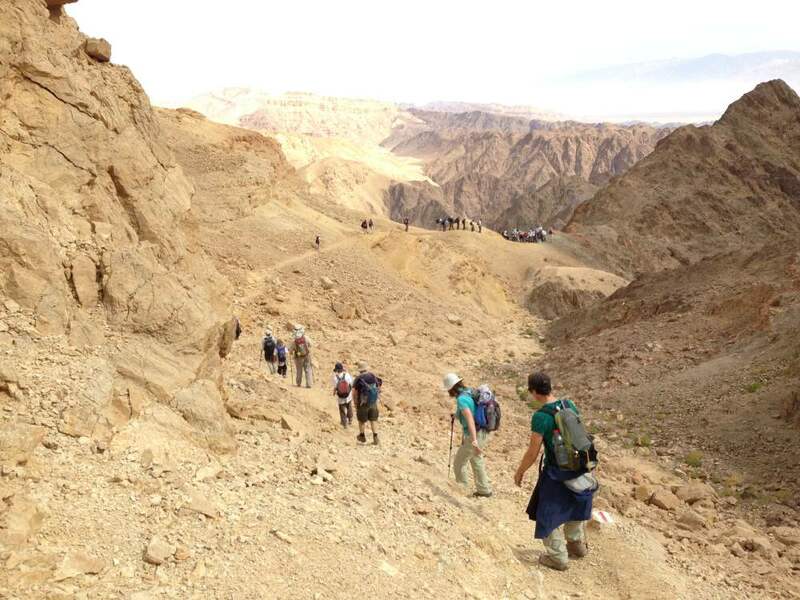 There was another flourishing of settlement during the early Islamic period of the 8th to 10th centuries with six Islamic settlements having been found in the area near Eilat. This was one of the routes taken by Muslims for the Hajj pilgrimage to Mecca.